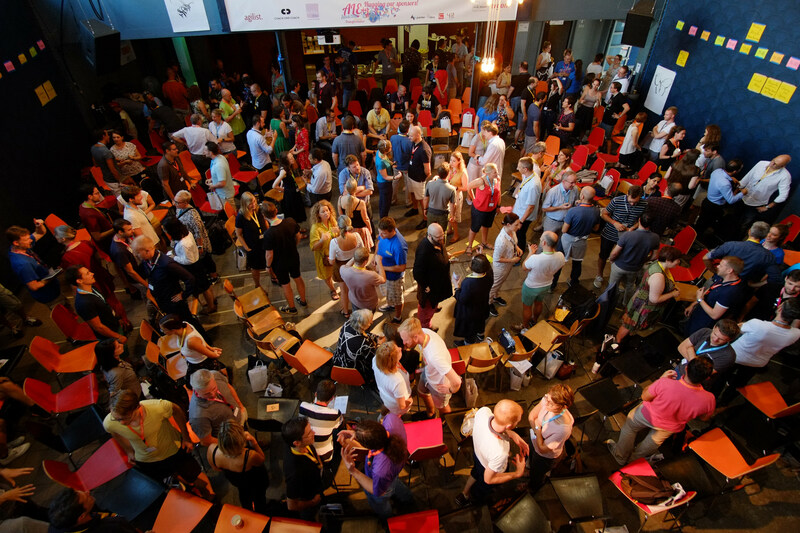 Being a regular DrupalCamp attendee, I was excited to visit a more Agile-focused conference. 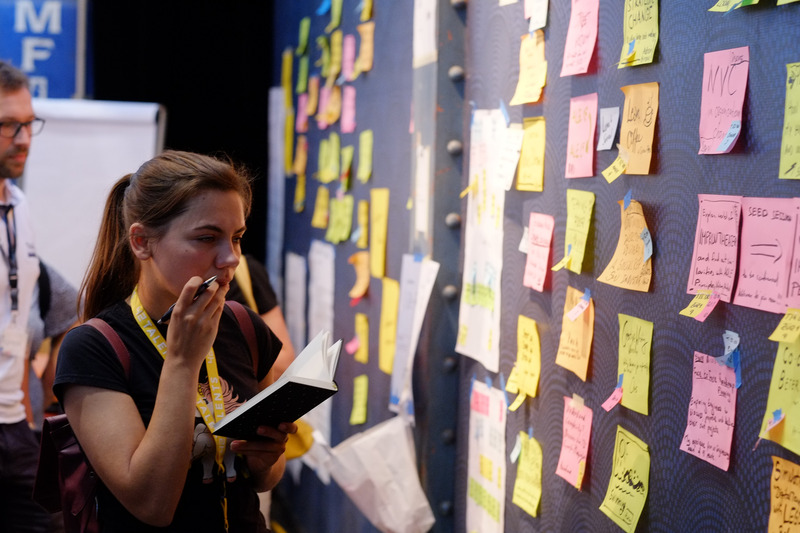 Agile Lean Europe uses Open Space Technology to facilitate an environment where ideas are created and shared in real-time and that allows everyone to contribute to the program. Steve Holyer, who is a familiar face at Amazee facilitated or “held” the open space. The Kraftwerk Innovation Space that hosted the event served as an excellent environment for up to a dozen parallel sessions. In contrast to my usual conference experience, the unconference format was much more interactive in the way the sessions were presented. Let me walk you through a few of my highlights. Manuel Küblböck from Gini did a session about “Decision-making when there are no bosses”. His view is that efficiency can be gained by focusing on consent over consensus. Rather than trying to have all parties agree on a proposed change, you emphasise working out strong objections and then test the idea. Decisions are always made by those who carry them out and people who are impacted can give input. Check Manuel’s tweet for further information. Momchil Brashnayanov from FFV presented a session on agile for service agencies, which was a great opportunity to discuss common challenges such as, how best to integrate customers into our workflows, how to focus on value instead of features and what contract frameworks best support agile collaboration. 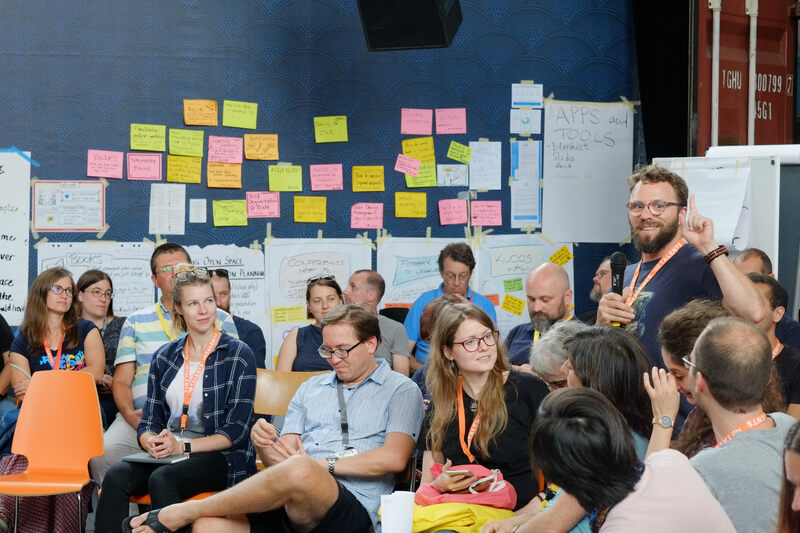 Like a couple of other sessions, Momchil applied the lean coffee format where we all gathered topics, clustered them and then iteratively discussed them and decided when to move onto the next topic. Peter Stevens shared his insights and tools around personal agility. It was refreshing to see agile principles being applied to one’s personal life. Similar as in a project, life goals would get mapped to tasks, prioritized and moved along a kanban board. More information can be found on the related website. Nicola-Marie O’Donovan discussed her experience working in a scaled agile environment and enabling teams to do a social plan roadmap together. Each team defines their vision and team projects upfront and then all gather to discuss the dependencies they have across teams. The teams then use the space to resolve all dependencies and get ready for implementation. She also has a medium article regarding that. I particularly enjoyed the Clean Language session by Olaf Lewitz. In a very interactive way, we experienced how different and difficult it can be to apply such a tool. Clean Language enables you to have a conversation while trying to inject as little of your own views into the question and focus fully on your conversation partner. In other words, instead of reflecting things, the focus is on getting a better understanding of the topic from the perspective of your interview partner. More information available. In addition to the talks mentioned above, ALE18 had a lot more to offer. 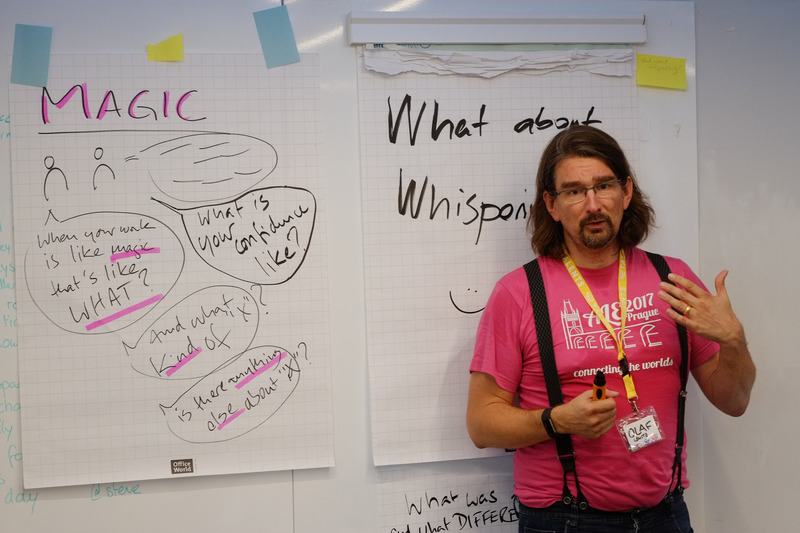 The keynote “Going where no one has gone before” on Yle’s agile transition by Mirette Kangas and Antti Kirjavainen from Finland, was full of inspiration and good advice, and so too was the Scrum@Scale session by Paolo Sammicheli. I particularly appreciated the side program that was put together. Conference attendees partners and kids would organize a city program. Random attendees were able to connect in the evenings by signing up for “Dinner with a Stranger”. The 3-day conference left me with tons of insights to the process. A few notables being tools like Powerful questions, or Minimum Viable Bureaucracy, models such as the Satir Change Curve or books such as The Preservation of the Agile Heart. Interested in more visuals from the conference? The ALE18 Official Album contains a good number of impressions. Also, check out the #agilekaleidoscope by Gaël Mareau and my album on Flickr. Agile Lean Europe 2018 was all about power transformation. One key insight for me was that Agile is less about following a strict process, and more about you being able to adapt a variety of tools to your current challenges and requirements. Thank you to everyone who participated and contributed and for making me feel transformed. Special thanks to the organizing team and sponsors who supported the event! Curious about the next one? Follow Agile Lean Europe on Twitter.